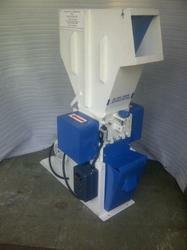 Pioneers in the industry, we offer pharma waste crusher for medical industry and pharma waste crusher from India. We offer a comprehensive range of Pharma Waste Crusher for Medical Industry. Following are some of the Pharma Waste Crusher for Hospital Medical Industry. We are counted amongst the leading manufacturers and suppliers of Pharma Waste Crusher. These comprise of two chambers, electrical heater, and a blower.we put in ardent efforts to maintain the consistent quality of our products. For the convenience of our clients, we are offering these in varying capacities, which are dependent upon the type of material, scrap sizes, and sizes.